Question: I have downloaded the Petrel Link module from DUG's website and ran the installation. The installation was successful, but I cannot find it on my desktop or the Start menu! Where is it and how do I know it is there? Answer: Installation of the Petrel Link module will not create a desktop or Start menu shortcut. It is not a software by itself, but a module inside Petrel. Verification of successful installation can be done through Petrel's plug-in manager or by checking the Petrel directory in your local disk. Select Options and click on Plugin Manager. 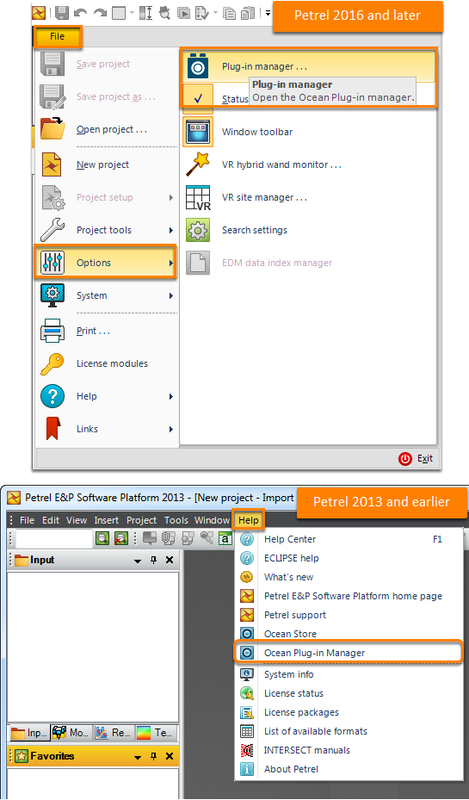 In Petrel, open the Help menu. Click on Ocean Plug-in Manager. 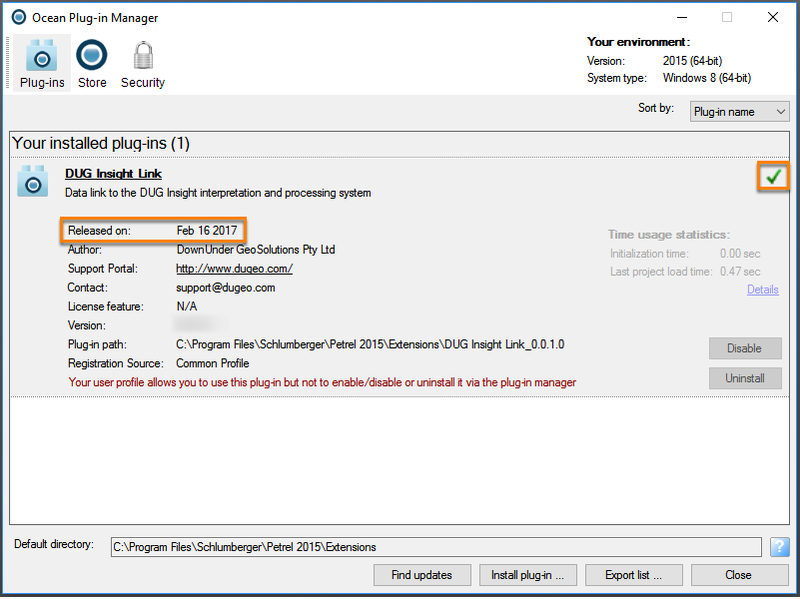 In Ocean Plug-in Manager, verify that the DUG Insight Link is in the list of plug-ins. Click on DUG Insight Link to expand and view more information about the plug-in. Check the release date matches the Insight release you are currently using. The link will NOT work if the two builds are not the same. Make sure there is a green tick at the top right of the plug-in that lets you know that there are no problems with the plug-in. Note: DUG Insight version numbers are set according the date it was released (year/month/day/version control) e.g. Insight version "702160" was released on the February 16, 2017. 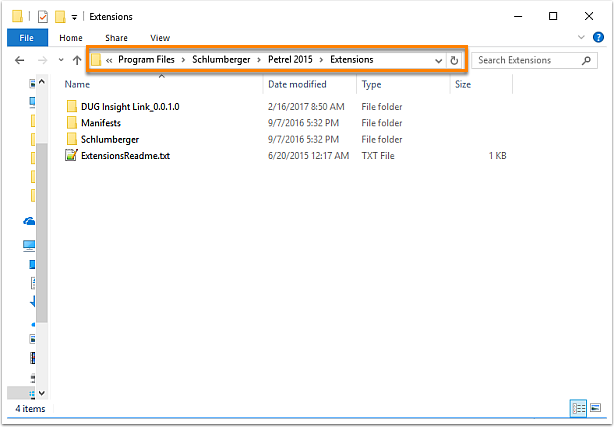 Use Windows Explorer and browse to C:\Program Files\Schlumberger\Petrel [version]\Extensions. The DUG Insight Link_0.0.1.0 folder is copied and installed here. Now you can safely link a Petrel project in Insight (see Linking Insight and Petrel). If you are experiencing difficulties, do not hesitate to contact support@dugeo.com for assistance. Next: How to manually install Petrel Link?